Congratulations on grabbing the Warlord Case Study! 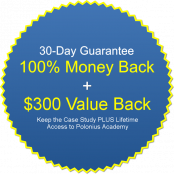 I know this case study is going to help you accomplish your internet marketing goals. Now, if you're like me, you probably want to get started on implementing this blueprint and building your business right now! But, you probably don't have enough time in your life to sit down and actually ready the eBook. Heck, if you're like me, some of you know you're not going to end up reading it. You've probably had this situation before, and it's a crying shame! So, for those of you who want a little head start on implementing the blueprint and don't have time to read through it, I wanted to offer you a quick upgrade to the Warlord Case Study Video Course plus a whole new value-packed bundle of extras, including our earth-shattering $20,000 Swipe File Collection (more on that in a second). 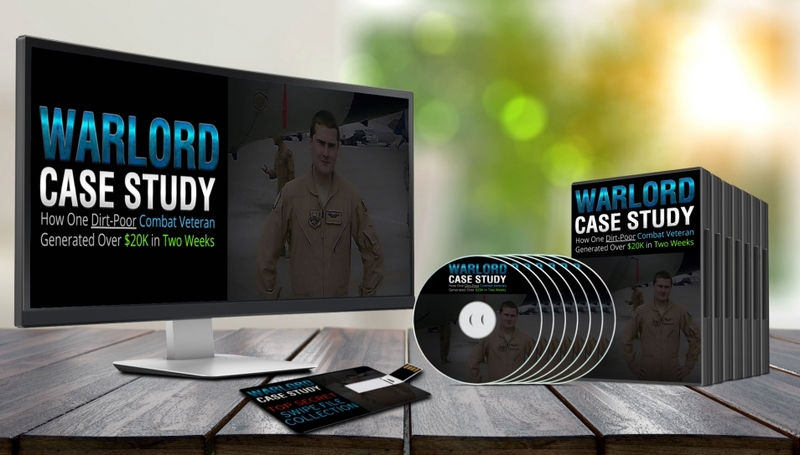 The Warlord Case Study Video Course is basically an accelerated program consisting of 7 video lessons that you can consume in a short period of time and start applying right away. It covers everything that’s covered in the Case Study eBook, the only difference is, again, that a huge percentage of you will probably never have time to read that eBook, whereas with this video course you can learn everything in short order. That means I’m literally going to hand you all of my stuff from that launch. I’m going to hand you the exact sales pages we used, the pre-launch and viral sharing pages, the OTO and upsell pages, the JV pages, including the JV invite home page, the JV contest and prize page, the JV resources pages, the DFY Bonus page template we created for JVs to use, literally every single page involved in that launch is going to be handed to you so you can analyze each of them as meticulously as you want and mimic them in your own product launch. Now considering that this was a documented $20,000 product launch, and the fact that you’re getting literally all of the sales and marketing material I used to make that $20,000 launch happen, I have no problem at all giving this swipe package of launch materials a $20,000 valuation. That’s literally and undeniably what it’s worth. And you’re getting private, exclusive access to every last piece of it. 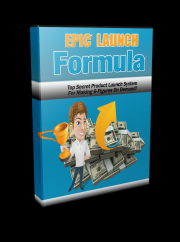 First, I’m giving you the Epic Product launch Formula. A 7-day video course packed with all sorts of extra resources to maximize your product launch potential. 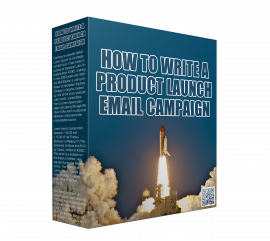 Next, you’re getting an actual recorded coaching session from the high ticket coaching program of a famous internet marketer, covering how to write a product launch email campaign. 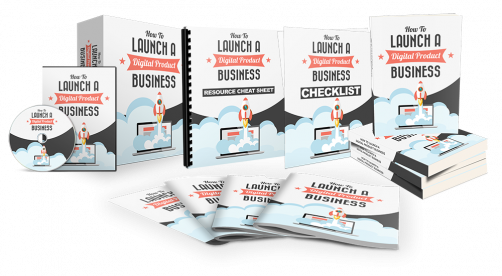 After that, you’re getting the How to Launch a Digital Product Business workshop. An extensive 10-day workshop jam-packed with valuable resources and training. 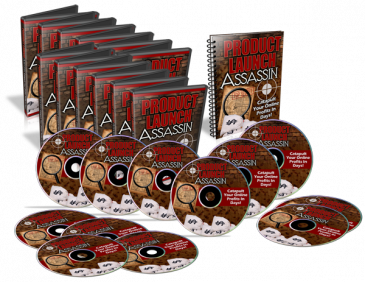 Finally, you’re getting the 11 day Product launch Assassin course - an in-depth look at launching your first product in the digital space. Now just like I did on the previous page, I want to not only remove the risk, but completely reverse it. Do you remember when I gave that package of all my sales and marketing resources a genuine $20,000 valuation? 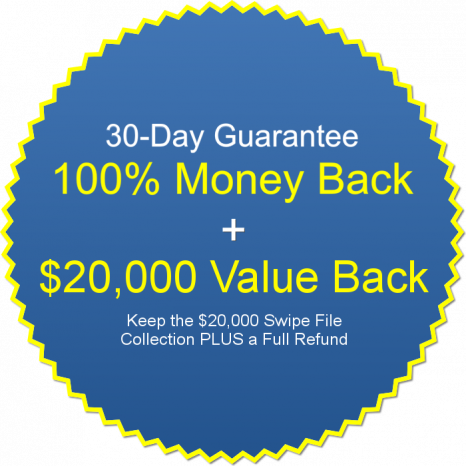 Yup, if you decide within 30-days that the Warlord Case Study Upgrade Package doesn’t provide immense value to you or your business, you get to keep that entire $20,000 sales and marketing package in addition to a full refund. #1: You need to launch a product and build a buyers list. #2: You need all the help you can get to make it a success. I want to help you get there, and grabbing this upgrade package is an excellent way to do that. So if you’re ready to get a head start on your first product launch and start building your buyers list, click the button below and I’ll see you on the inside.